Students will consider the connections between linear equations and the physics of the photoelectric effect. Mathematical models can be used to describe complex phenomenon. For example, the slope and intercept of a straight line have very specific physical meanings when describing the photoelectric effect. Today at our school, we have invited a motivational speaker to come and address the entire student body. The schedule calls for this to happen in two parts, each of which conflicts with my Physics sections. I am wholly supportive of this endeavor as the topic - inclusiveness and a recognition of how one's own background may alter perceptions unknowingly - is vital to creating a healthier school community. It does, however, present a special challenge for me from a planning perspective: my sections are roughly 50% juniors and 50% seniors and the assembly schedule has the juniors out in one section with the seniors out of class in the other. As a result, my goals for the day are to provide some amount of reinforcement and some amount of self-directed time. 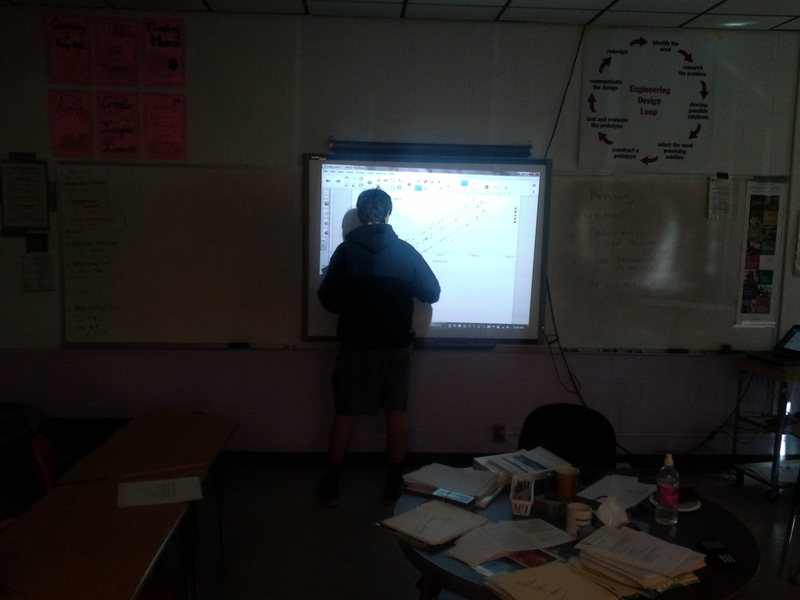 The warmup has my students connecting the traits of linear equations with the physical attributes of the photoelectric effect, allowing them to consider the NGSS Performance Expectation HS-PS4-3. The self-directed time allows each student to choose their preferred mode of working, though most will use the time to address o set of computational problems related to electromagnetics and radioactivity. To reinforce our learning from the previous lesson, I provide my students with a warmup problem that is, in fact, the data they generated the other day. My goal is to get them to explore the mathematics of the resulting best fit lines and to match the mathematics to the physical nature of the phenomenon. 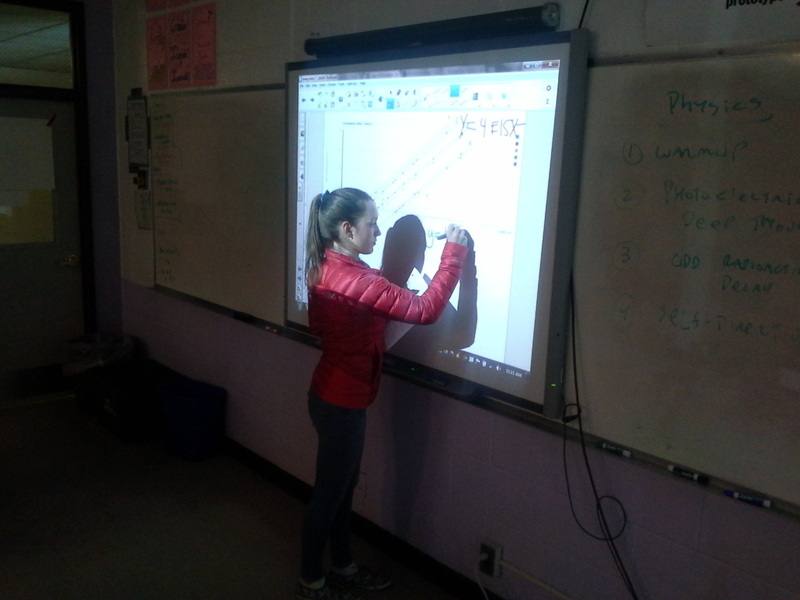 I give my students about ten minutes to work on these problems that are simultaneously in their hands and projected on the Smartboard. Students may consult with one another or with me. Mostly, students need help recognizing that their background algebra knowledge (the form y = mx + b) will be most helpful in this process. As we near the end of the ten minutes, I locate a student or two who might be willing to show their results on the board. This helps to keep those students active and to promote a sense of a shared classroom where insight comes from a variety of places, not just the teacher. To bring closure to this section, we discuss the remaining questions in the warmup. I share with students that while, mathematically, the equation of the line implies that "y" can be negative, physically, a negative "KE" for the electrons does not make sense. We consider the lower right-hand corner of the student solution slide: the y-axis is the kinetic energy (KE) of the liberated electrons while the x-axis represents the frequency of the incident light. The slope is Planck's constant, in the appropriate units, while the y-intercept is the stopping voltage. 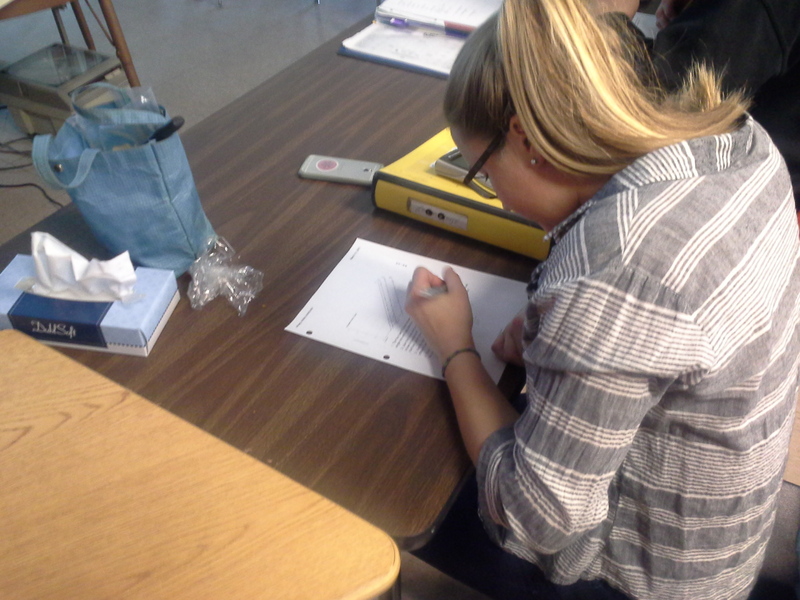 With these observations, we can completely interpret the equation in terms of physical quantities. In this section, I want to revisit the idea of beta decay. In a previous lesson, students had worked with the idea of "beta-minus" decay, though we referred to it only as "beta decay." Today, I want to share the idea that an alternative type of beta decay is possible - beta-plus decay. I start by showing just the left-hand side of this image. I ask students to predict the result if this Nitrogen nucleus were to undergo beta decay. They, correctly, predict that the resulting nucleus should be an Oxygen isotope with eight protons and five neutrons. I reveal the rest of the image and proceed to describe the movement down the Periodic Table (to Carbon) and the formation of an "anti-electron." As this is the first serious mention of anti-matter, there are generally many questions about its nature and its implications. Though the nature of anti-matter is not a learning target in the NGSS, student interest is high and I don't mind, particularly on a day where half of my class is attending an assembly, indulging questions for as long as they persist. We continue the conversation for as long as there is student interest. As students have several assignments due this week and next and many are missing today's lesson due to an assembly, I grant some time for students to self-direct. 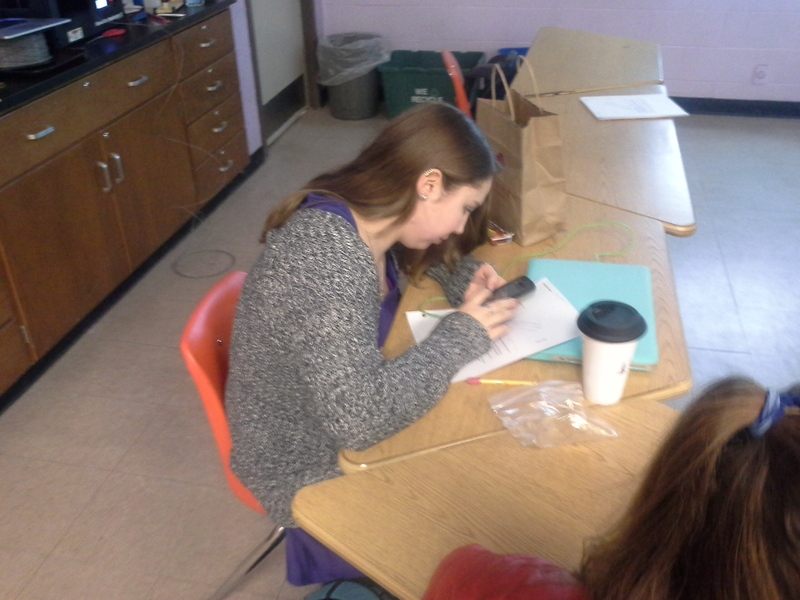 Some decide to finish up their Radiation Journals, some are finishing the electromagnetics problem set that is due today, and others are working towards next week's Four Big Ideas assignment. I spend most of my time working with students who are struggling with the mathematics of today's assignment. We continue in this mode until the end of class.